Lilia and Ray Ahner are Lilia Photography. Living and working in San Francisco and shooting fabulous weddings for creative and amazing couples with an independent sense of personal style. Their style is candid, real, and vivid. Blending fine art photography with wedding day photojournalism. Lilia Photography specializes in capturing real authentic moments. Of course they love to travel, and are available for weddings and shoots worldwide. If you are having a Northern California wedding celebration be sure to take a peek at this creative duo. They would love to offer Wedding Chicks readers a 10% discount on any of our wedding packages. This offer expires on June 30, 2012. You must mention this offer in order to receive the discount. 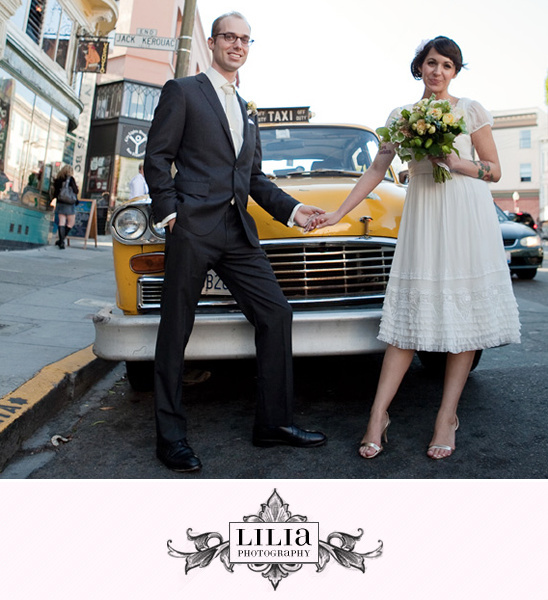 For information about Lilia Photography be sure to check out their website. Hair and makeup by Jaclyn Jean Bridal.